A Sticky Problem | Only at His Feet! 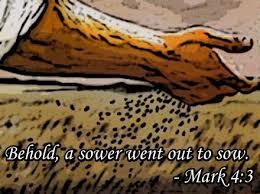 Mark 4:7 (ESV) Other seed fell among thorns, and the thorns grew up and choked it, and it yielded no grain. 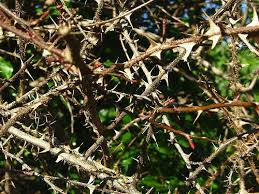 Mark 4:18-19 (ESV) And others are the ones sown among thorns. They are those who hear the word, but the cares of the world and the deceitfulness of riches and the desires for other things enter in and choke the word, and it proves unfruitful. Cares of the world? Deceitfulness of riches? Desires for other things? How do these words of Jesus affect the way we live? Does it mean we need to have a job rather than a career? What about the kind of house we live in, car we drive, clothes we wear – how do we decide about these if we are followers of Jesus Christ? What does it mean?? When I think on these two verses the first word that pops into my mind is ~ (drumroll please) ~ PRIORITIES! Bet you knew I was going to say that. Do I wake up in the morning, rushing around getting ready for work and then give Jesus five minutes of my time in the car on the way there? Or do I make sure I get up early so I can spend some quality time with the One who can make my day go much smoother…much better? Do I seek His kingdom first, knowing that if I do He will make sure all my needs are met and will bless me even more? Or do I concentrate on my job leaving Him out trying to get ahead in my own steam, my own self? The house we live, the car we drive, the clothes we wear are not that important. What is important is how we came to have them and whether or not we give thanks to the One who provided them. The more we rely on ‘self’ and less on God the further we will get from His presence. Just like the thorns in the verse, if we don’t keep Him first, don’t keep Jesus as our number one priority He will be ‘choked’ out of our hearts and lives. I choose JESUS above all else!